On The Badpiper’s audition for Australian’s Got Talent, he said that he was “taking the world’s most annoying instrument, and turning it into something fantastic.” Indeed he has. After 25 years of playing the bagpipes, he has surely come up with something unique here. The 37 year old, fourth generation Scottish Australian musician currently has three albums out. All the track names are unique, but many of them are covers/renditions of well known songs such as When the Saints go Marching In, We Will Rock You, Auld Lang Syne, and of course Thunderstruck. All of The Badpiper Albums are currently priced at $29AUD (Australian dollars) which is currently (as of 6-30-13) $26.56USD. In my opinion, they are a little high priced for today’s musical market, but they are quite different, even though you can’t see the flames on the audio tracks. 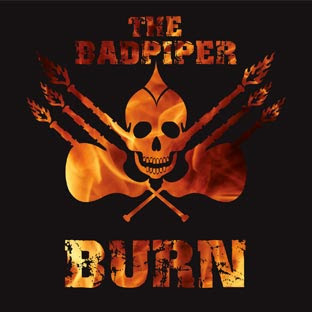 So whether or not you like punk rock, bagpipes, or fire, The Badpiper is worth listening to. While the concept of using bagpipes in modern music is not something unheard of, it is not commonly done, and it sure as heck isn’t done with fire!